cities in the world. Anyone who knows his or her literature will recognize the significance of Athens immediately. In Parthenon, The Acropolis in Athens the beginning there was Oedipus, the great hero who suffered a tragic fall. His fate led him to Athens and it was here that he died. Later came some of the greatest philosophers that the world has ever known, including Socrates, Plato and Aristotle. Athens was also the sight of the first official Olympic Games and in the summer of 2004 they will once again play host to a tradition that began hundreds of years ago. The world will once more be reminded of why Athens acted as the centerpiece in which science, sports and architecture revolved around during the Classical Age. the city's intense relationship with the past. 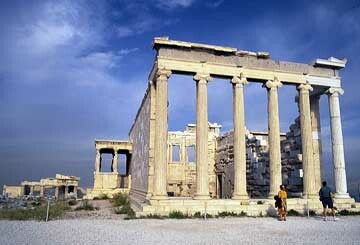 The Acropolis and Parthenon are credited as being two of the greatest monuments to be produced by Western Civilization. The Acropolis is also commonly called the 'High City'. Located at the Acropolis are the Parthenon towers which pay homage to the various Greek Gods and Goddesses. 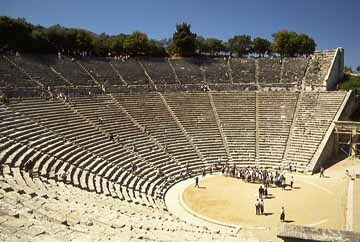 The Theater of Dionysus is the stage where such classic tragedies and comedies written by Sophocles and Euripides were performed. Another must see while in Athens is the Temple of the Olympian Zeus. This monument took The Odeon of Herodes Atticus in Athens over 700 years to complete and still remains one of the most breathtaking structures in all of Europe. In addition to the numerous testaments to Athens' rich and unique history, the city is exploding with museums, shopping areas and other various points of interest. The National Archaeological Museum provides tourists with an in-depth look at Greek culture and history. The National Gardens are a wonderful place to pass a leisurely afternoon in Athens. Tourists may escape the hustle and bustle of the city by enjoying a picnic in this private and sequestered park. The Anoyi Museum offers visitors a glimpse at Grecian art that dates as far back as ancient times. Shoppers will take immense delight in Athens' wide variety of shopping opportunities. 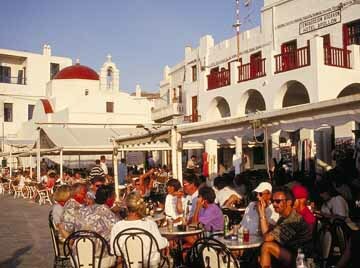 Whether you prefer small, intimate markets or high-end retail, Athens has it all. 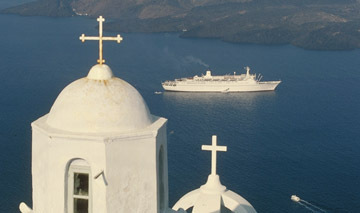 Because Athens has so much to offer travelers from all over the world, it has become a major port for many cruise lines. Day after day, numerous cruise ships can be seen entering and leaving the harbor carrying hundreds of adventurous vacationers. After spending a day exploring the shores of Athens, passengers return to their ships in order to head off to other exotic locations. To experience the vacation of a lifetime, book a European Cruise today and get ready for the time of your life.